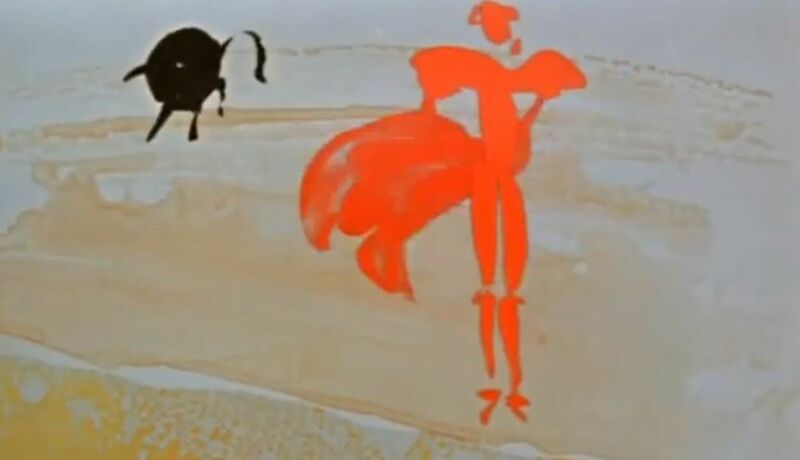 Struggle between a bullfighter and a bull turn into rivalry of two colours: red and black. The story is not just visually beautiful and well animated, but what is a very rare in Polish animation, extremely light and humorous. It is an animation series for kids about very intelligent and clever boy, who lives with his grandpa and little starling bird. Dobromir thanks to his brilliant ingenuity uses his unlimited imagination to invent numerous devices to accelerate the work. A goat travel around the world to find Pacanów, a town where according to rumours, they make goat shoes. During his travels, he visits many places across the globe experiencing many dramatic and funny adventures. 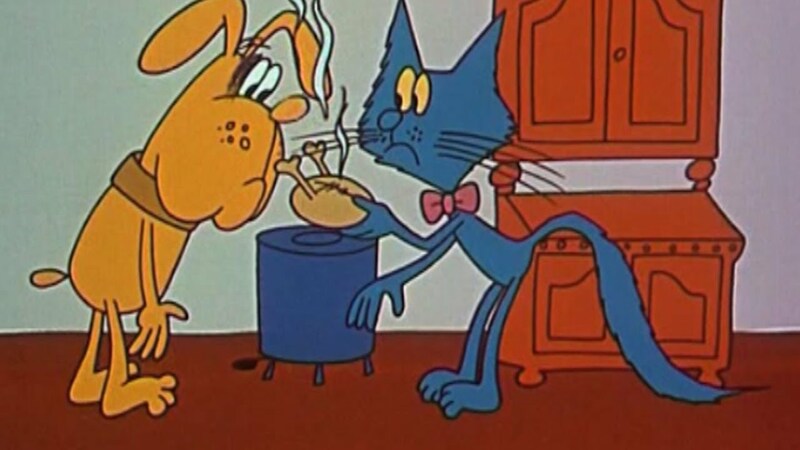 A series about a cat and a dog, who live in the same house. Animals continuously have problems with each other. New objects often cause their conflicts, but the animals always find a way of coming out of the disharmony together. A little fawn has been trapped by a poacher. Peter hurries to her rescue, liberates the fawn and chases the poacher away. 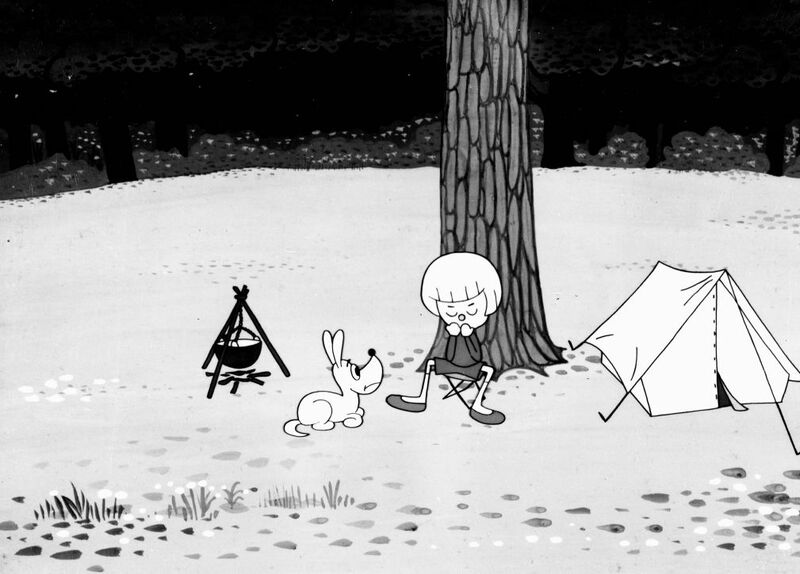 The cartoon was produced by SE-MA-FOR. There were 39 episodes total. Sailing to rescue a castaway, Peter's boat hits a rock and gets damaged. With the help of his enchanted pencil, the boy starts to repair the damage when suddenly a small octopus snatches the pencil away. After a long underwater pursuit, the boy managse to recover his magic pencil. Bank robbers attempt to steal the magic pencil from Peter and use its power to break into a bank. A little dog helps Peter to recover his pencil while thieves are justly punished.